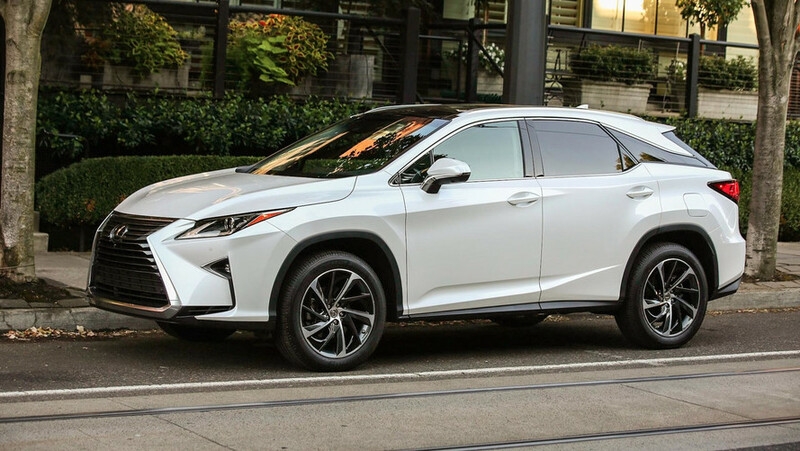 Described as having a "bold exciting new look", the mid-size luxury SUV has reached fourth generation and draws many of its styling cues from the smaller NX. The corporate spindle grille appears to be huge and is flanked by LED headlights, fog lamps and daytime running lights. As seen in a recent teaser, the new RX adopts a slightly more sloped roofline which creates a sleeker profile also enhanced by the uniquely shaped third side window. The rear end looks sharper and hosts wraparound L-shaped taillights also benefiting from LEDs while the dual exhaust system was added for a "more premium appearance". 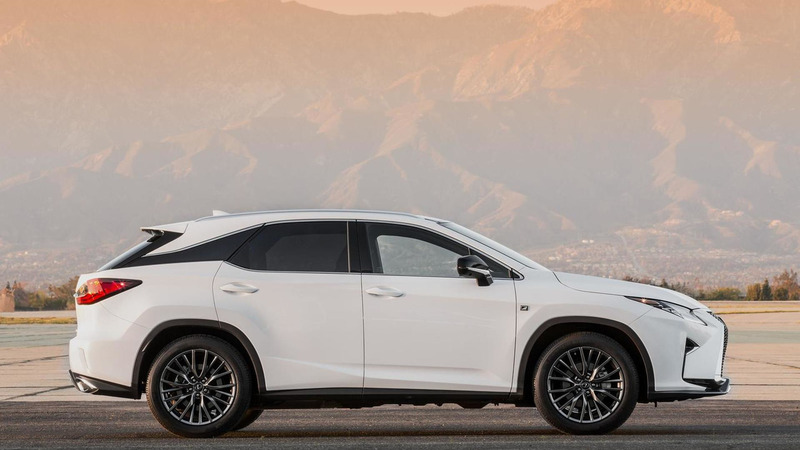 Stepping inside the cabin, the 2016 RX boasts a generous 12.3-inch screen for the infotainment system and Lexus is offering a color head-up display at an additional cost. Other goodies include heated rear seats, 60:40 power-folding second row and a newly developed retractable power panorama sunroof. There's also a rear-seat entertainment system packing dual 11.6-inch screens affixed to the back of the front seat headrests. 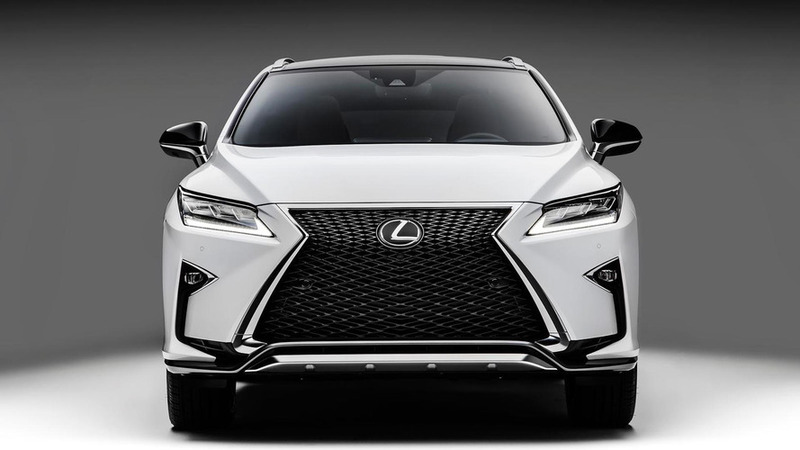 In terms of power, the new RX 350 will be offered with a 3.5-liter V6 engine delivering 300 bhp (224 kW) sent to the wheels through a new eight-speed automatic transmission. Lexus will also sell you an RX 450h version which combines a V6 3.5-liter with an electric motor generator to deliver a combined output of approximately 300 bhp (224 kW). For the first time on the RX, Lexus is providing an adaptive variable suspension (AVS) which will electronically monitor and adapt the shock absorber damping and steering to grant optimal handling and ride comfort. Toyota's premium marque says system will also diminish body roll when cornering, especially at higher speeds. Available for both engines, the more appealing F SPORT version adopts a slightly more aggressive body, graphite 20-inch wheels and a custom F SPORT instrument cluster with a TFT Multi Information Display. It also has a sport steering wheel wrapped around in perforated leather while exclusive colors and trim pieces along with an F SPORT emblem and paddle shifters are also part of the package. More importantly, the 2016 Lexus RX F SPORT gets an active stabilizer system to keep the "body amazingly flat through corners." It also comes with an AVS-enhanced Sport+ mode available alongside the regular Eco, Normal and Sport settings. Sales of the fourth-gen Lexus RX should commence towards the end of the year.